Click on the presentation. Expand to full screen if you wish. Advance each slide at the bottom of the frame. 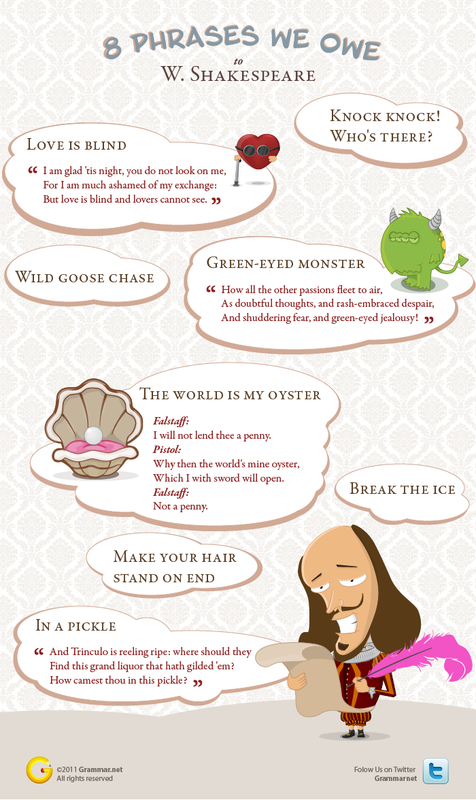 Even if you’re not a Shakespeare fan, I bet you’ve used Shakespearean phrases that have slipped into our language. Check out this infographic from GrammarNet, then tell us in the comments if I’m right. 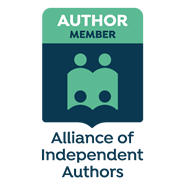 Writing is a passion, but publishing is a business. This catches many aspiring authors by surprise. When they discover that writing their manuscript was just the start, many authors resist doing the marketing required and others resent it so much that they neglect it entirely. Disappointing book sales result. Like it or not, writing is a home based business where you must face the same challenges as every other entrepreneur: managing time, avoiding isolation, resisting distractions as well as organizing and balancing work with family and personal life. In the 2nd Edition of How to Run a Successful Home Based Business, I share useful tips and advice for entrepreneurs and small business owners. Writers who recognize that part of their success depends on being entrepreneurs will benefit from many of the tips, especially on networking, building a list, and creating a social media marketing plan. This edition has 30% new content. The Kindle version, available for only $2.99, poses key questions and offers answers to many of your business challenges. You don’t need to own a Kindle to read it either. Amazon makes the Kindle app free to you here. Get your copy now at http://amzn.to/101IoFg , then remember to leave a review when you finish the book.